We're all tightening the purse strings lately so it's a good thing that Sydney has more than its fair share of sensational free entertainment this August. Wear your jeans and do some good, taste and enjoy, celebrate Italian heritage, drink up the arts atmosphere, dance, meet the country in the city, and bring out your inner geek. There's free entry and entertainment at Jeans for Genes Day, but you will be asked to shell out for Jeans for Genes merchandise and a range of food. All monies raised will go to the Children's Medical Research Institute. Don't forget to wear your jeans or fancy pants and you'll look good and feel good for doing your bit to help a worthy cause. When: Friday 3 August from 7am to 4pm. Why? : Look good and do good. What's On: Stalls, music, entertainment. There's plenty of appeal in the idea of a sea change / tree change / me change, and the Country and Regional Living Expo will provide you with a taste of what it's all about when the country comes to the city from 3 to 5 August. Learn about regional and country life, jobs, business and investment. When: Friday 3 August from 12 noon to 4pm, Saturday 4 August and Sunday 5 August from 9am to 4pm. Where: Rose Hill Gardens Grand Pavilion, James Ruse Drive, Rose Hill. Why? : Experience the country in the city. What's On: A range of free seminars and exhibitions that promote regional living and businesses. There's also a NSW Farmers Direct market. More Information: Visit the website here. 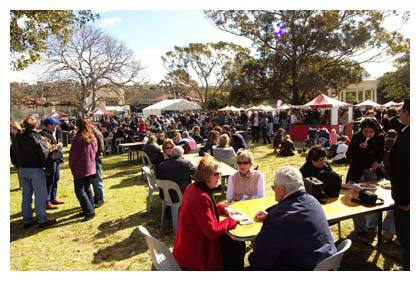 The Mudgee Wine and Food Festival Balmoral Beach is celebrating its 22nd birthday this August. You can enjoy free musical entertainment, wander through the food stalls, and let the kids get up close and personal with farm animals at the popular animal farm. When: Sunday 12 August from 11am to 5pm . Where: Balmoral Beach - The Reserve, The Esplanade, Balmoral. Why? : Wine, food, entertainment & beautiful Balmoral. What's On: Stalls and free entertainment. Talk to winemakers and taste a range of wines from this famous wine making region. NB. You must purchase tasting tickets to sample the wine. More Information: Check the website here for tasting ticket information and prices. A free shuttle bus will run continuously picking up in Awaba Street, The Esplanade, Raglan Street, Military Road, Spit Road. Ferragosto, the City of Canada Bay's largest community festival is this year celebrating its 15th birthday. 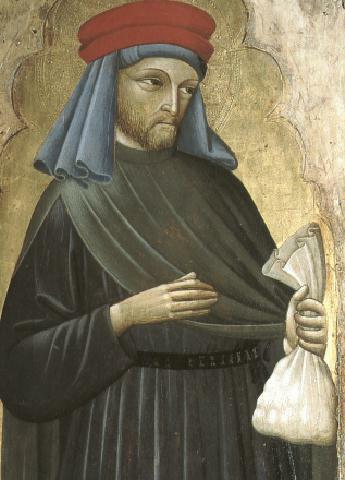 Ferragosto (from Latin "Feriae Augusti" - "the rest of August") is an Italian holiday traditionally celebrated on 15 August to honour the feast of The Assumption of the Blessed Virgin Mary. This festival celebrates the Canada Bay area's rich Italian heritage and culture. Last year 50,000 people threw themselves into the partito divertimento (party fun), and we all know that Italians really know how to celebrate. When: Sunday 12 August from 10am to 4pm. .
Where: Great North Road, Five Dock. What's On: Ferra Main Stage for musical entertainment, FerraKids for the littlies, FerraKitchen for the foodies, FerraPiazza for Italian ambience and wine and Displays and Activities for Italian car enthusiasts. More Information: Click on the links above for the full programs of fun. If you'd like all the artsy culture of the 18th Biennale of Sydney to spill over into your social life then the Biennale Bar @ Pier 2/3 is the place for you. For five nights only during August you can experience a range of arts entertainment, including projections, discussions and installations, as well as music from hip hop to opera. When: Friday 3, 10, 17, 24 and 31 August from 6.30pm to 9.30pm. Why? : Art, drink and be merry. What's On: There is a different programmer for each Friday night: DLux MediaArts (3 August), The Thousands (10 August), FBi Radio (17 August), the Biennale (24 August) and Sydney Chamber Opera (31 August). More Information: All you need to do is choose your favourite and turn up on the night. No bookings required but be early because there is limited capacity. You can find out about the individual programs here. 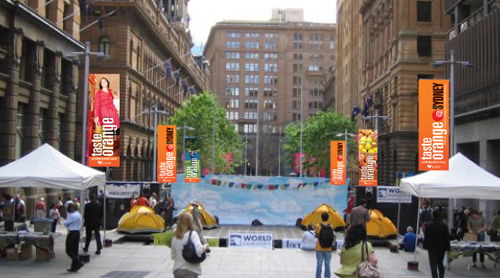 Help celebrate The Australian Year of the Farmer at Taste Orange @ Sydney this month. Martin Place will be home to the best that Orange produces on 23 and 24 August. Eighteen wineries, thirteen food producers and caterers, and a host of Orange community and business organisations will be on hand for you to make the most of your lunch break. When: Thursday 23 and Friday 24 August 2012 from 11.30am to 2.30pm. Where: Martin Place, Sydney CBD. Why? : Orange without the pips. What's On: Free food and wine tastings, musical entertainment and cooking demonstrations. 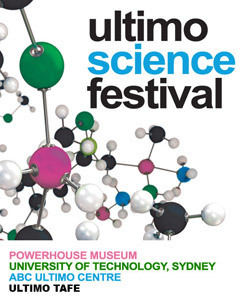 The Ultimo Science Festival is presented by the Powerhouse Museum, The University of Technology Sydney, ABC and Ultimo TAFE. Over eleven August days you'll find out that science isn't just for geeks. It's fun, thought-provoking, entertaining and essential in our modern world. Not all events are free and some activities at Powerhouse Museum are free once you have paid for entry to the Museum. When: From Thursday 16 August to Sunday 26 August 2012 . Where: All activities and events will be presented along Harris Street, Ultimo. Why? : It's the ultimate in science fun. What's On: Lab tours, science shows for kids, hands-on activities, science comedy, lectures and exhibitions. More Information: You can visit the website here for detailed event information or download the full program here. If you love dance then you probably know that the Sydney Opera House is presenting the Spring Dance Festival from Monday 20 August to Sunday 2 September. But you may not know that the Festival includes a number of free activities and masterclasses. There will also be a Festival Bar in the Western Foyer. When: Monday 20 August to Sunday 2 September. Why? : See and learn dance from the masters. What's On: Ballet and jazz masterclasses, dance films, and dance photography. More Information: You can access the full program of free events here. Places for the masterclasses are limited and you must register to attend. Details on the website. Why? You won't have to tighten the purse strings even further. When: Various dates throughout August. See article for details. Where: Various venues. See article for details.